INRA’s second studio album “The Content Consuming Its Form” is released as a book with poems and a download code. It is about sonic fiction and linguist realism. Combining sardonic poetry, poly sexual rhythms and visceral drones, they follow the idea of alienation both as a threat and emancipation. 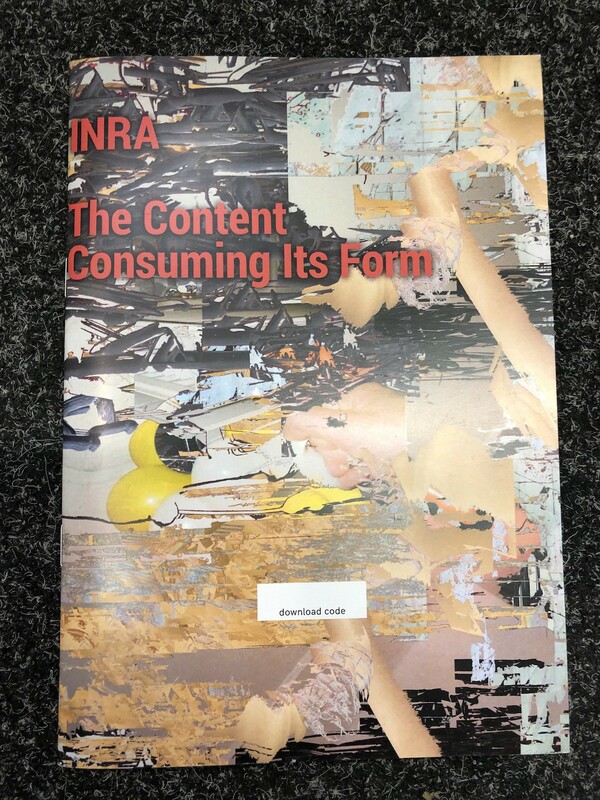 “The Content Consuming Its Form” refers to INRA’s epistemology: the moment, when their inner world of sound and language melts into an artefact of the outer world. It jumps between beauty to dread to the politics of sound: a libidinal journey for the bodies and minds of the 21st century selves attempting to open up new spaces of possibilities.